Long time association member Bob Webb was selected as the Oak Leaf Society recipient. Bob has served the association as a board member and also has Provident Guild Officer for many years. 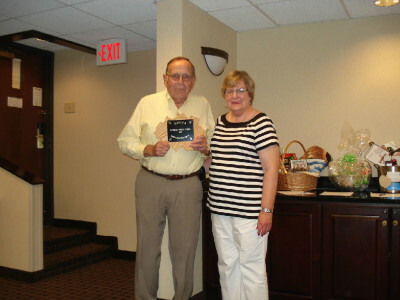 He is pictured with his wife Ruth Ann who was very active in supporting Bob and in the auxiliary.